Last month, our nation witnessed an uproar of victims speaking out about abuse and harassment they have experienced in their lives. 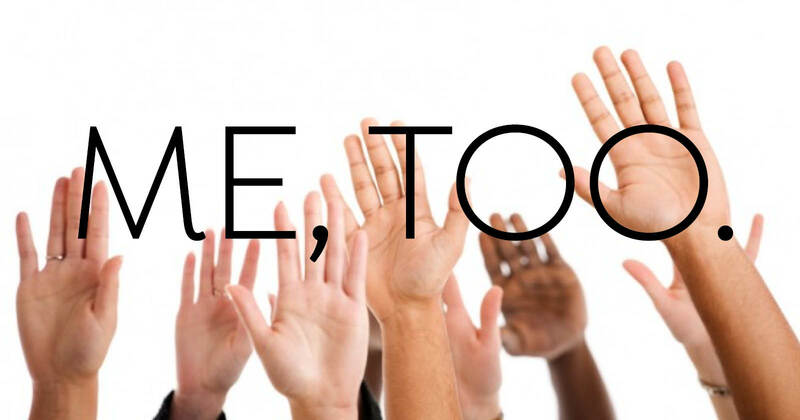 The amount of people identifying with the #MeToo movement shocked many in our nation and around the world. The movement stemmed from an article in the New York Times about allegations of abuse and harassment against media mogul, Harvey Weinstein. A few days later, actress Alyssa Milano tweeted a note from a friend encouraging anyone who had experienced sexual assault or harassment to simply tweet the hashtag #MeToo. The idea being it would give a visual representation of how many people have been impacted by inappropriate behavior. After the #MeToo movement went viral, we learned the true creator of the campaign was Tarana Burke. In 2007 Burke started the nonprofit Just Be Inc. to help victims of sexual harassment and assault, she named her movement Me Too. While this viral movement has certainly given the visual representation intended, it seems to have varying effects on those closest to the cause. At the WCA, we always believe it’s a person’s choice to share, or not share about what has happened. We encourage our clients to find what is comfortable for them: support groups, therapy, journaling, etc. A movement like #MeToo can be encouraging to those who haven’t been sure about telling friends or family members about abuse they have experienced. Seeing so many other people stand up and identify as a person who has experienced this too can be comforting. It can also be overwhelming and triggering. Not all who have experienced trauma from abuse and assault are comfortable with movements like #MeToo. It can be a constant reminder of trauma, triggering anxiety and fear. The WCA is here for those triggered by movements like this, offering our 24/7 hotline and free, walk-in support at our office. There is no ‘right’ way to react to this movement. There is however a ‘wrong’ way. Don’t ask why people haven’t brought up the inappropriate behavior sooner. Don’t assume they are asking for attention or their 15 minutes in fame. Don’t assume that they deserved this behavior, or ‘were asking for it’ by something they wore, drank, or said. Looking for things you can do? Do support the WCA in whatever way you can. Do question perpetrators instead of victims. Do remember that every victim will react in a different way, and that’s okay. Most of all, don’t let this movement be forgotten. Encourage change in behaviors, policies, and laws. Learn how to be an advocate for those impacted by these crimes. Support the organizations who are working with victims of sexual assault. To learn more about the WCA, please contact us at info@wcaomaha.org or 402-345-6555.